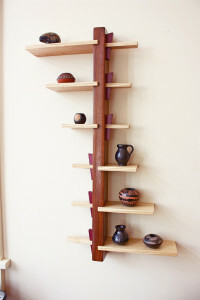 The five shelf cabinet. 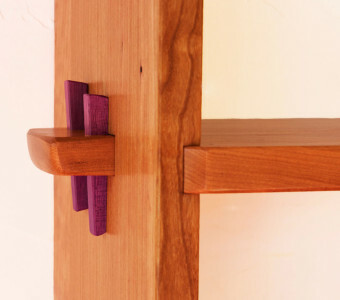 Cherry, ash, purpleheart wedges, and a glass/ Japanese rice paper paneled door. 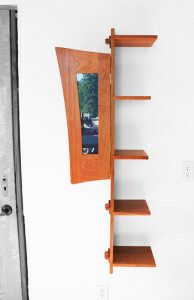 55" tall, 21" wide and 8" deep. 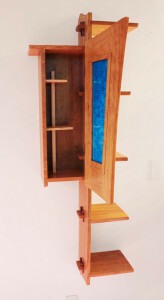 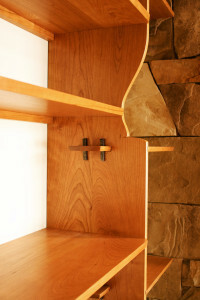 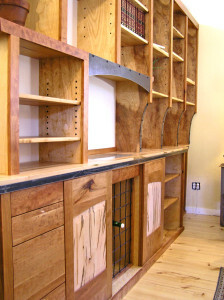 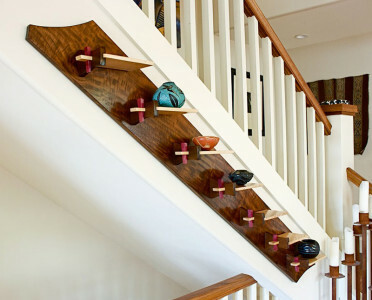 The shelves of the five shelf cabinet are held firmly in place without adhesives or fasteners. 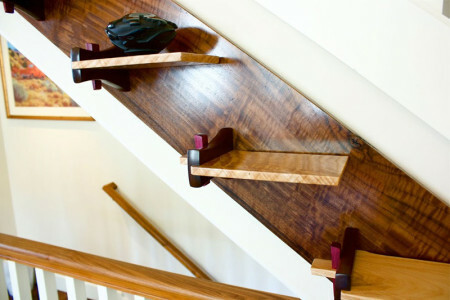 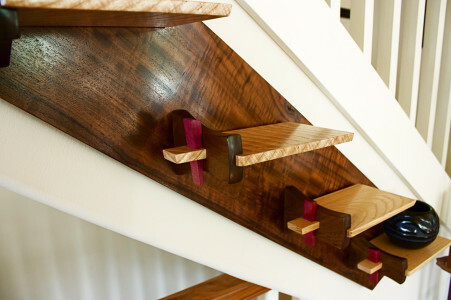 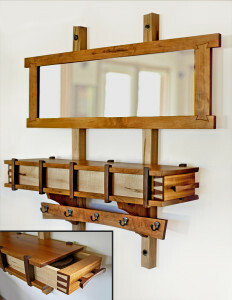 Exacting joinery means these pieces can be removed by hand and will last for many generations. 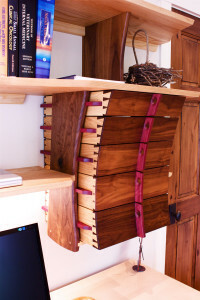 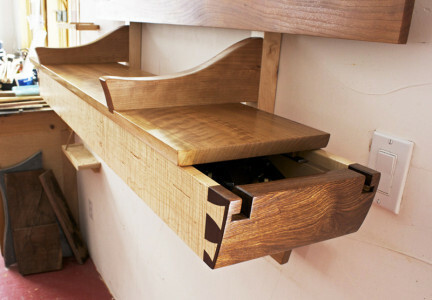 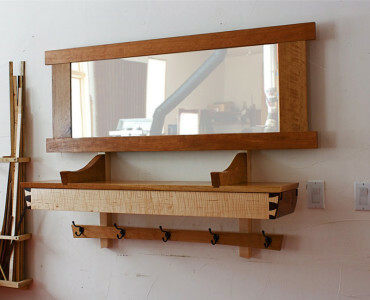 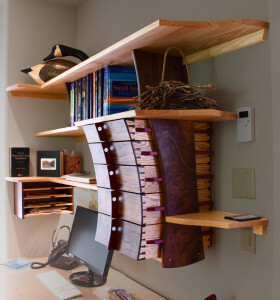 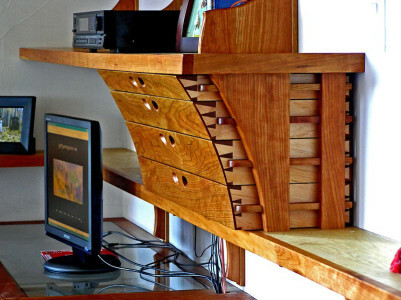 These cherry and maple drawers were an exercise in curved half-blind dovetails.